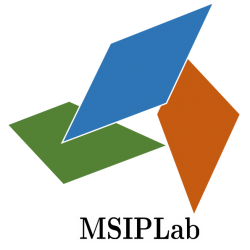 Journal Papers – MSIP Lab, Niigata Univ. Shogo Muramatsu, Kosuke Furuya and Naotaka Yuki, Multidimensional Nonseparable Oversampled Lapped Transforms: Theory and Design，IEEE Trans. on Signal Process.，Vol. 65, No. 5, pp.1251 -1264, 10.1109/TSP.2016.2633240, March 2017. Chen Zhiyu and Shogo Muramatsu, Multi-focus Image Fusion based on Multiple Directional LOTs, IEICE Trans. on Fundamentals, vol.E98-A, no.11, DOI: 10.1587/transfun.E98.A.2360, pp.2360-2365, Nov. 2015. Chen Zhiyu and Shogo Muramatsu, SURE-LET Poisson Denoising with Multiple Directional LOTs, IEICE Trans. on Fundamentals, vol.E98-A, no.8, pp. 1820-1828, DOI: 10.1587/transfun.E98.A.1820, Aug. 2015. H. Kikuchi, R. Abe, and S. Muramatsu, Simple Bitplane Coding and Its Application to Multi-Functional Image Compression, IEICE Trans. on Fundamentals, Vol. E95-A, No.5, pp.938-951, May 2012. Shogo Muramatsu, Dandan Han, Tomoya Kobayashi and Hisakazu Kikuchi: Directional Lapped Orthogonal Transform: Theory and Design, IEEE Trans. on Image Processing, DOI 10.1109/TIP.2011.2182055, May 2012. Shogo Muramatsu, Tomoya Kobayashi, Minoru Hiki and Hisakazu Kikuchi: Boundary Operation of 2-D Non-separable Linear-phase Paraunitary Filter Banks, IEEE Trans. on Image Processing, DOI 10.1109/TIP.2011.2181527, Apr. 2012. Peter Ndajah, Hisakazu Kikuchi, Masahiro Yukawa, Hidenori Watanabe, Shogo Muramatsu, An Investigation on the Quality of Denoised Images, Int. J. of Circuits, Systems, and Signal Processing, Issue 4, Volume 5, pp. 423-434, July 2011. Mustafa M. Sami, Masahisa Saito, Shogo Muramatsu, Hisakazu Kikuchi, and Takashi Saku, A Computer-Aided Distinction Method of Borderline Grades of Oral Cancer, IEICE Trans. on Fundamentals, Vol. E93-A, No.8, pp.1544-1552, Aug. 2010. Junghyeun Hwang, Hisakazu Kikuchi, Shogo Muramatsu, and Jaeho Shin, An Optimum Design of Error Diffusion Filters Using the Blue Noise in All Graylevels,IEICE Trans. on Fundamentals, Vol. E93-A, No.8, pp. 1465-1475, Aug. 2010. Junghyeun Hwang, Hisakazu Kikuchi and Shogo Muramatsu, Tone-Aware Halftoning Using Optimized Error Diffusion Filters Based on Blue Noise Patterns, J. Signal Processing, Vol. 14, No. 4, pp. 301-304, July 2010. Mustafa M. Sami, Masahisa Saito, Shogo Muramatsu, Toshihiko Mikami, Kamal Al-Eryani, Jun Cheng, Faleh A. Sawair, Rasha Abu Eid, Hisakazu Kikuchi, and Takashi Saku, Twin-pair rete ridge analysis: a computer-aided method for facilitating objective histopathological distinction between epithelial dysplasia and carcinoma in-situ of the oral mucosa, Oral Medicine & Pathology, Vol. 14, No.3, pp. 81-89, Jan. 2010. Kazuma Shinoda, Hisakazu Kikuchi and Shogo Muramatsu: Lossless-by-Lossy Coding for Scalable Lossless Image Compression,IEICE Transactions on Fundamentals, Vol. E91-A, No. 11, pp. 3356-3364, Nov. 2008. Sakol Udomsiri, Masahro Iwahashi and Shogo Muramatsu: Functionally Layered Video Coding for Water Level Monitoring IEICE Trans. Fundamentals, VOL. E91–A, NO. 4, pp.1006-1014, Apr. 2008. Yoshihisa Takahashi, Kentaro Hiraki, Hisakazu Kikuchi and Shogo Muramatsu: Color Demosaicing Using Asymmetric Directional Interpolation and Hue Vector Smoothing, IEICE Trans. on Fundamentals, E91–A No. 4, pp.978-986, Apr. 2008. Hisakazu Kikuchi, Akira Iijima, Shogo Muramatsu and Shigenobu Sasaki: Luma-based directional copy interpolation for color bilevel AM halftoning for printing,IEICE Electron. Express, Vol. 5, No. 5, pp.170-175, Mar. 2008. Takuma Ishida, Shogo Muramatsu and Hisakazu Kikuchi: Motion-JPEG2000 Codec Compensated for Interlaced Scanning Videos, IEEE Trans. on Image Processing, Vol. 14, No. 12, pp. 2179-2191, Dec. 2005. Yoshihisa Takahashi, Hisakazu Kikuchi, Shogo Muramatsu, Yoshito Abe and Naoki Mizutani: A New Color Demosaicing Method Using Asymmetric Average Interpolation and Its Iteration, IEICE Trans. on Fundamentals, Vol. E88-A, No. 8, pp. 2108-2116, Aug. 2005. Takuma Ishida, Shogo Muramatsu and Hisakazu Kikuchi: Lossless Compression of Motion JPEG2000 Intgrated with Invertible Deinterlacing, ITE Journal, Vol. 59, No. 7, pp. 1011-1019, July 2005. Satoshi Hasebe, Makoto Nagumo, Shogo Muramatsu and Hisakazu Kikuchi: Two-Step Detection of Video Shot Boundaries in a Wavelet Transform Domain, J. Inst. Image Electronics Engineers of Japan, Vol. 34, No. 1, pp. 17-26, Jan. 2005. 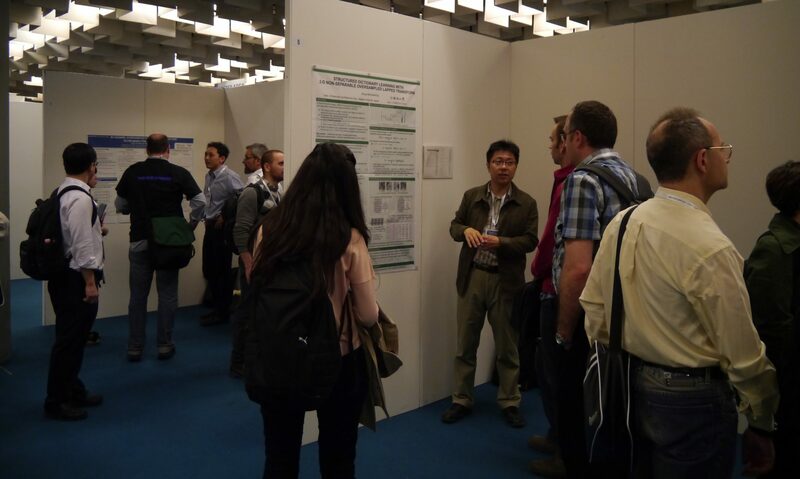 M. A. Rahman, Shigenobu Sasaki, Jie Zhou, Shogo Muramatsu and Hisakazu Kikuchi: Evaluation of Selective Rake Receiver in Direct Sequence Ultra Wideband Communications, IEICE Trans. on Fundamentals of Electronics, Communications and Computer Sciences, Vol. E87-A, No. 7, pp. 1742-1746, July 2004. Kazuyuki Uenaga, Shigenobu Sasaki, Ken-ichi Takizawa, Jier Zhou, Shogo Muramatsu and Hisakazu Kikuchi: Online SNR and Fading Parameter Estimation for Parallel Combinatorial SS Systems in Nakagami Fading Channels, IEICE Trans. on Fundamentals, Vol. E87-A, No. 6, pp. 1495-1499, Jun. 2004. Jun Uchita, Takuma Ishida, Shogo Muramatsu, Hisakazu Kikuchi and Tetsuro Kuge: A Parameter Decimation Technique for Variable-Coefficient Invertible Deinterlacing, IEICE Trans. on Fundamentals, Vol. E87-A, No. 6, pp. 1363-1370, Jun. 2004. Jie Zhou, Kentas Ishizawa, Shigenobu Sasaki, Shogo Muramatsu, Hisakazu Kikuchi and Yoshikuni Onozato: Generalized Spatial Correlation Equations for Antenna Array in Wireless Diversity Reception: Exact and Approximate Analyses, IEICE Trans. on Communications, Vol. E87-B, No. 1, pp. 204-208, Jan. 2004.